Music is an essential ingredient in the operation of any great pub and our intention is to bring an injection of all styles, week in week out. From traditional Irish bands with upbeat tempos which compel you to dance a jig, clap your hands and stamp your feet; to jazz, blues, bluegrass and all the way to motown spilling on to the streets grabbing the attention of passers-by. There’s a genre for everyone! 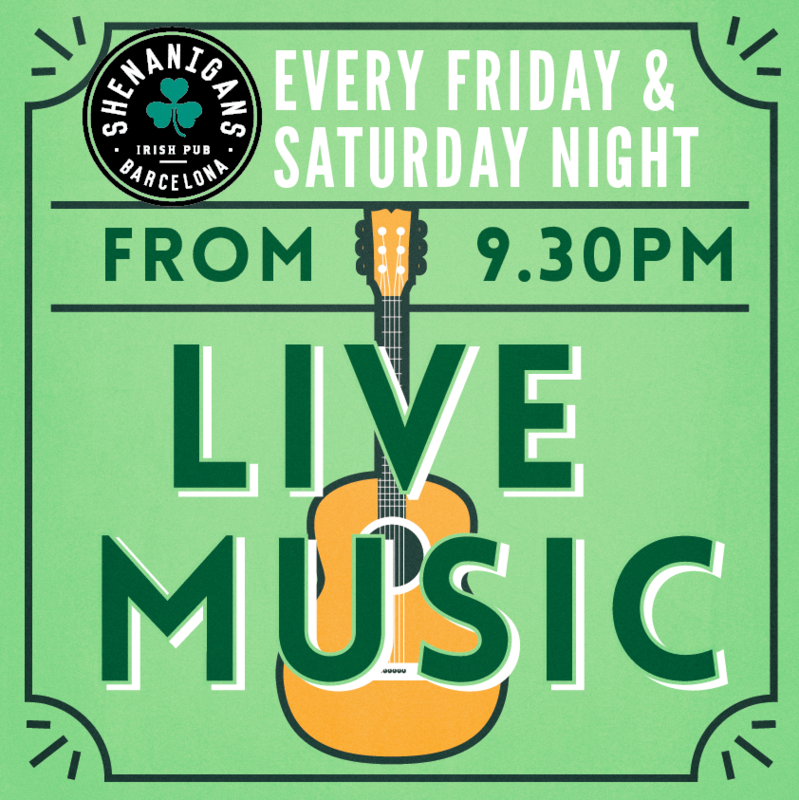 With a mixed crowd of locals and tourists, great vibes and a fantastic atmosphere, we invite you to come and witness a seductive live music event every Friday and Saturday night at Shenanigans Irish Pub. Come and meet amazing new people and artists from all over the world and enjoy what the night has to offer, free of charge. Stay posted to hear which musicians will be playing each week. And of course, you’ll be able to enjoy our pints of lager for 3€ and stouts/ales for 4€ so we really have your weekend planned for you!